SKU: UR01. 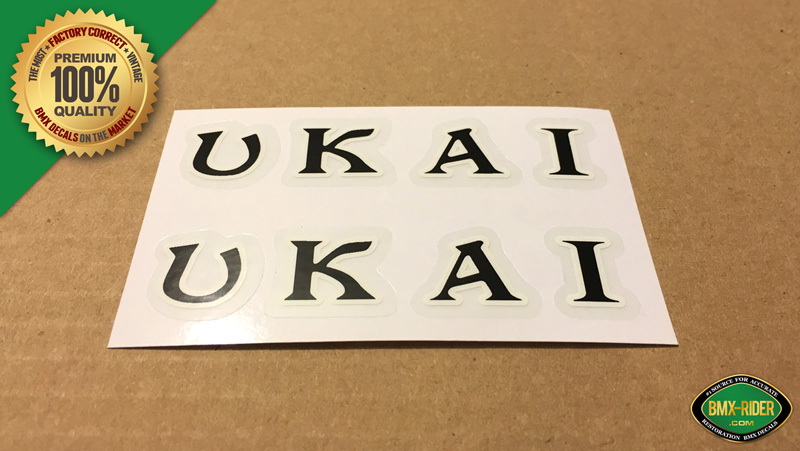 Categories: Ukai, Various Small Decals (All). Tags: GT Pro, Haro, Hutch, Kuwahara, Mongoose, PK Ripper, Raleigh, Redline, Rim Decal, Robinson, Ukai, Wheel Decal. 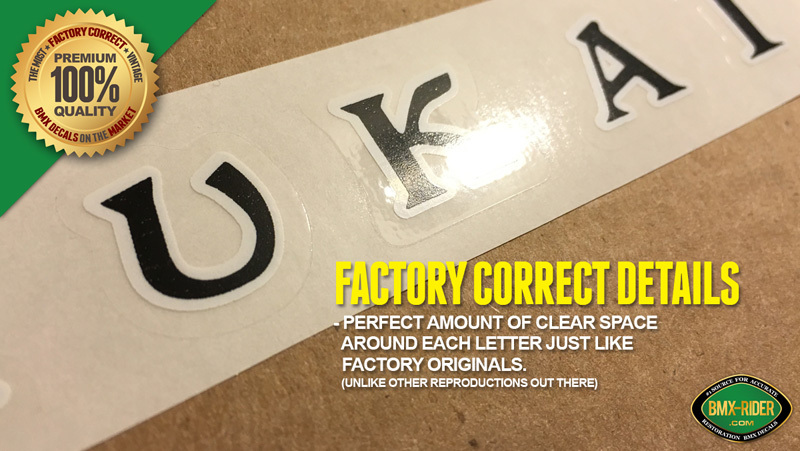 New Factory Correct UKAI Rim / Wheel Decal Sticker that came stock on Ukai BMX Wheels in the 1980’s. 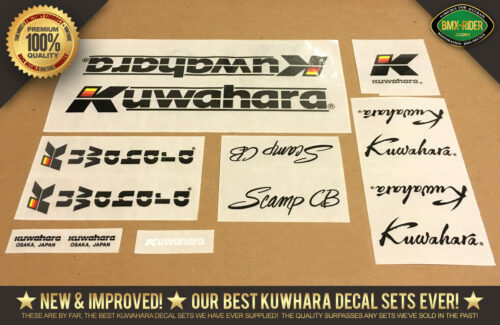 These were found on the Kuwahara, Redline, Hutch, PK Ripper and more. 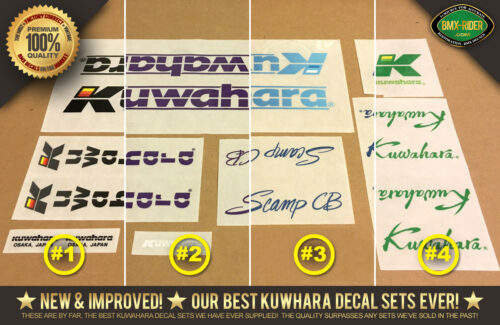 These decals have been digitally printed and are of high standards. Size and colors are very accurate to original factory specifications.